We’re encouraging those parents who haven’t yet applied for a 30 hours code for the summer term to apply now. 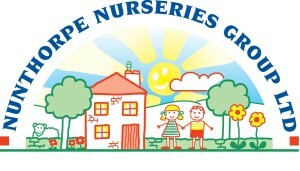 Do you wish to join The Nunthorpe Nurseries Group email marketing list and receive our latest news and services? 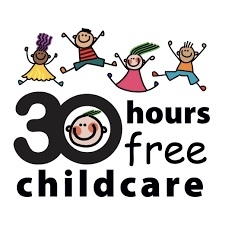 Eligibility for 30 hours childcare? This equates to £120 a week (or c.£6,000 a year) for each parent over 25 years old or £80 a week (or c.£5,800 a year) for each parent between 21 and 24 years old and £56 a week for apprentices in their first year. What happens if a parent loses eligibility? They will receive a ‘grace period’ – this means they will be able to keep their childcare for a short period. How do parents apply for the 30 hours free childcare at Nunthorpe Nurseries Group? Parents can apply now if their children were born on or after 1st September 2012. Parent applies and if successful, they will be presented with an eligibility code. Parent to bring their code to any of our nurseries to show they are eligible for the additional 15 hours free childcare. When can my child take the additional 15 hours free childcare place? Your child will be able to take up their place from the term after their 3rd birthday. For example, if your child was three in October, they would be entitled to take up their place from the beginning of the spring term, which starts in January. Does my child need to take up the full 30 hours per week? It is the parents choice. Some parents feel their child is not ready to attend the full 30 hours a week and they choose to start their child on fewer hours. Parents who already have an eligibility code need to reconfirm their eligibility for 30 hours and / or Tax-Free Childcare every 3 months. Parents using 30 hours may also be able to save money with Tax-Free Childcare on their additional childcare costs. We would be grateful for your support in encouraging parents to save with Tax-Free Childcare – helping them with their Easter holiday childcare costs.